Whether you’ve already purchased a condo or loft with us or still looking for that perfect space to invest in or call home, painting your walls and decorating your space is one of the first and most impactful ways to elevate your property and make it your own. On a daily basis, whether we’re marketing and listing a space or out touring with you to find the perfect condo, you wouldn’t believe how often paint and colour becomes part of the decision process, whether overtly or more often than not, subconsciously. And that’s the power of colour. Sometime without even realizing it, the colour of the walls, furniture in the space, or a few pieces of decor can completely change the feeling of a property, the perception of its size and simply how much we love it. When listing your unit for sale, it can impact how quickly your unit will sell and can sometimes create a difference of thousands of dollars on the sale price. As a buyer, it can make the difference in your first impression the moment you walk through the front door and play a huge part in whether or not you can envision yourself living in the space. And for those of you with the right creative vision, the wrong colours in a unit can often create an opportunity to untap the hidden potential a space that others may have glossed over or been unable to look past. Every colour holds a meaning. Red represents fire, energy and determination, where yellow is associated with joy, warmth and intellect. Orange combines the energy of red and the happiness of yellow, while blue stands strong in representing trust, depth and stability. As you can imagine, the list certainly goes on…….and on! While it’s easy to under appreciate the importance of colour as we hustle through our daily lives, the colour of our walls, furniture and even just a few decor items can also have an impact on our mood, productivity and how we live in a space on a daily basis. Everyone has their favourites but these favourites and the feelings they create often shift over time and get reshaped with the latest design trends. So whether you’re getting your space ready for sale or looking for ways to update your new condo or loft and make it your own, consider going bold to make a statement or adding green accents or added a few potted friends into your space to breath some new life into it. 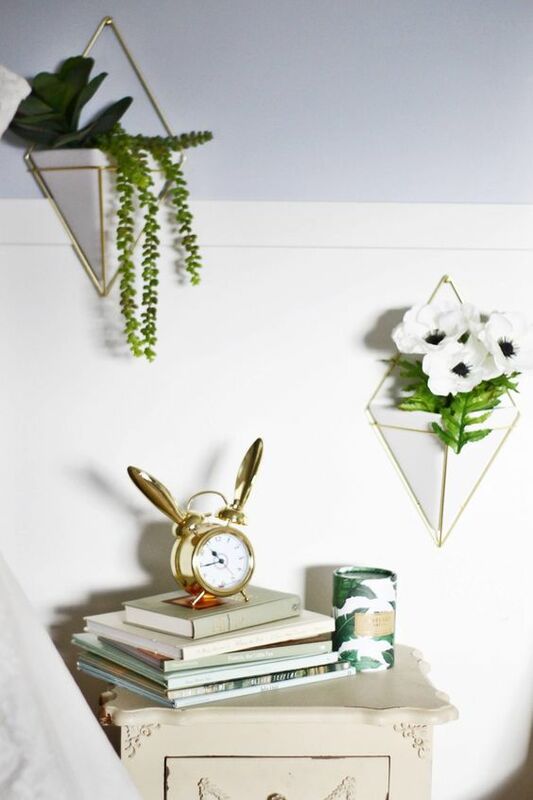 We’ve come across some beautiful spaces this year accented with a strong vibes of green and some surprisingly luxe combinations of green and gold that we never thought we’d fall back in love with. 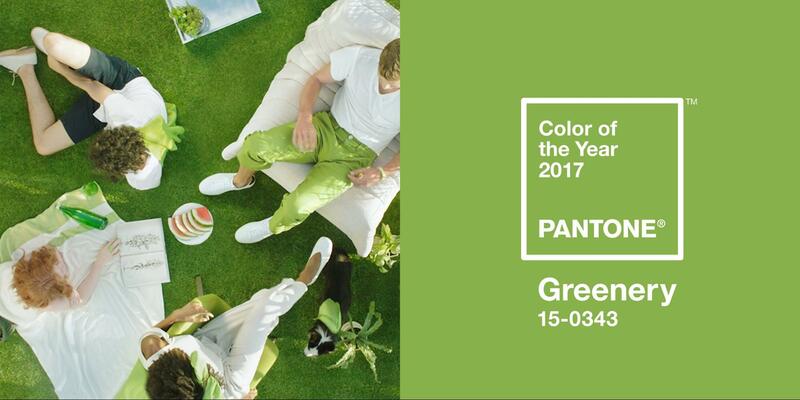 So if you’re sitting at home this weekend and aren’t planning on being out on the town or taking off to the beach, here are some great ideas and inspiration to incorporate this year’s power of green into your space. 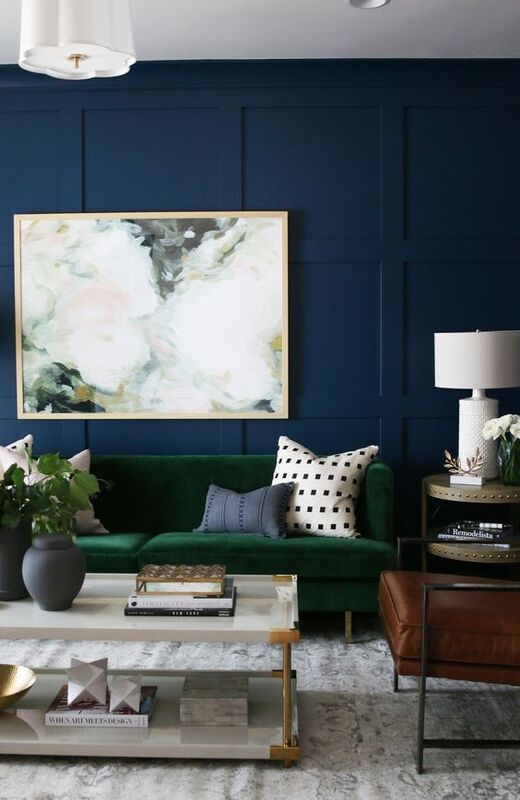 Whether it be as small as a painting or as big as a couch, a green piece of furniture or decor is a perfect accent this season. 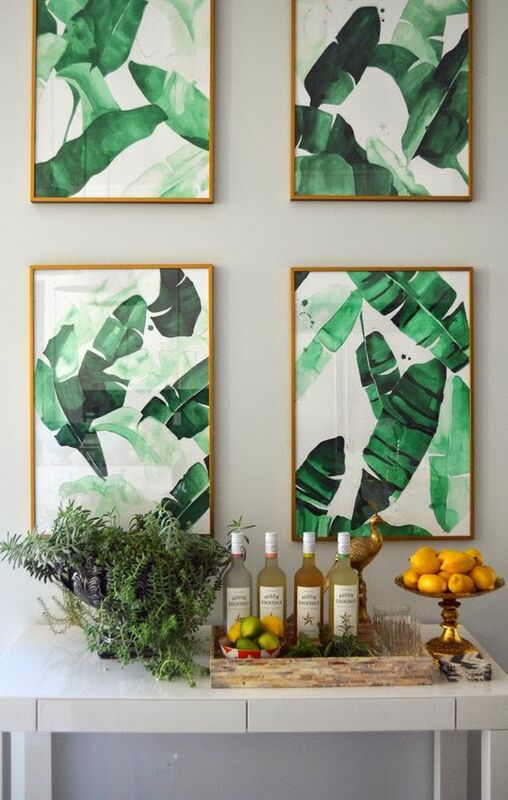 A green couch is certainly bold and beautiful this year but if you’re looking to make the most out of your budget, consider going with a series of less expensive green accents like these frame prints to add warmth to your space while giving you the flexibility to change things up with the season or as your tastes change. No backyard, no problem! As far as plants go, any space could fit these beautiful Umbra wall planters. Hang them up, place them on your desk or add them to your outdoor patio. Talk about an urban garden! Shameless plug - you can pick these cute little guys up from any one of our stores so the next time you stop in before a tour with us or are at one of our locations checking out the newest buildings or latest condos, be sure to check them out. (available now in gold and copper from $35 with an additional 20% off when you say “Greenery” on checkout). So whether it’s a new piece of decor, plants or paint, get that green thumb going and set your living space up with warmth and nature. You’ll be glad you did.